Eat to a flatter belly! If your tummy is bloated, this may be due to food sensitivities or allergies that you don’t even know about. 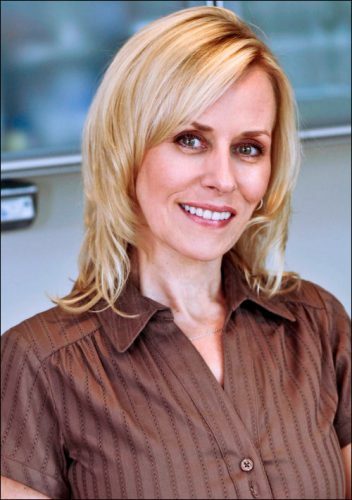 Healthy living and nutrition expert, Beth Aldrich, advises cutting salt from your diet and eating anti-inflammatory foods (listed below) for up to two weeks to see a difference. You probably won’t only see results but you’ll feel better too. 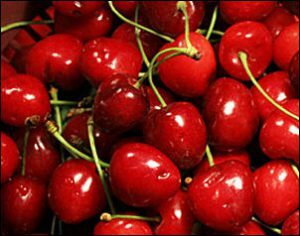 Muraleedharan Nair, PhD, professor of natural products chemistry at Michigan State University, has shown in lab experiments that tart-cherry extract can stop the formation of some inflammatory agents 10 times better than aspirin. His findings fueled a cult of cherry-juice devotees among arthritis patients who swear by two tablespoons of concentrated juice daily. In recent research, Nair found that sweet cherries, blackberries, strawberries, and raspberries produce similar effects. Place a couple of bags of peppermint tea in a glass pitcher and let it “sun” for a couple of hours. Remove the tea bags, then add a natural sweetener, like stevia extract and some ice. Then top with a mint leaf and voila! Your belly flattening tea is ready to go! Add this fruit on top of yogurt. Pineapple contains bromelain, which aids in protein digestion, and therefore a flatter belly, and yogurt contains probiotics for good digestion. Top your smoothie or cereal with fiber-filled ground flax. Simply use your mini coffee grinder for grinding these little baby seeds and then sprinkle them everywhere! The American Heart Association recommends 25 to 30 g daily, so be sure to add plenty of fresh fruits and vegetables, ground flax, fiber-rich cereal and nuts/seeds every day. I make it simple. I make one uber-super salad once or even twice a day, filling up on all that I need in one sitting. Sliced veggies, lean protein, healthy oil (olive oil vinegarette) and maybe even some berries! Look for Beth Aldrich’s new book “Real Moms Love to Eat” in bookstores soon.